Are Stereotypes and Prejudice Only Perpetuated in Media? Before becoming a mom, I had spent over a decade as a professional working with college students, including work as a social justice educator. I was committed to creating broader social change by trying to eliminate discrimination and prejudice against individuals based on their race, gender identity, sexual orientation, disability, and other identities. When Rob and I decided to become parents, I spent a lot time thinking about how children learn stereotypes, prejudice, and discrimination. I was determined that I would teach the children in my life about social justice issues in my quest to raise socially conscious and aware children. 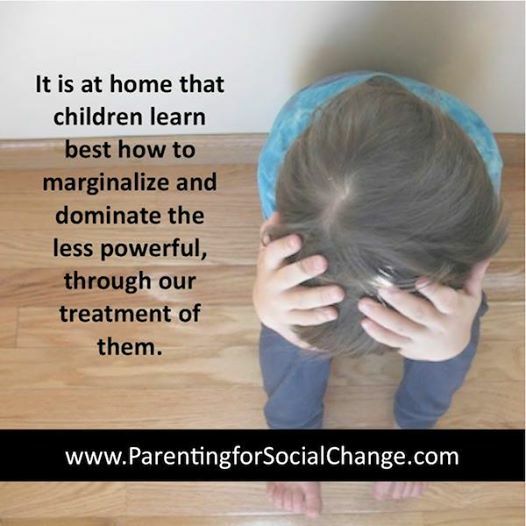 I thought I could be a perfect parent who would do all the rights things to raise culturally aware, sensitive, accepting children who would work to end discrimination. With regard to media, I thought that I was quite media savvy and could recognize the biases and stereotypes perpetuated on television and in other media. I wanted to teach Martel (and later Greyson) these same skills in my quest to raise justice-oriented children. Although I enjoyed watching television, in my mind television and video games were mostly empty entertainment. At times, I believed there was some educational value. At their worst, I believed they planted the ideas of prejudice, stereotypes and violence in a child’s mind. Because of my commitment to social change, I feared that all of the influences from various media meant the children in my life would grow up believing the stereotypes and prejudices they saw. I worried that they would continue the legacy of discrimination and injustice in the world. I feared they would internalize negative messages about themselves that they learned in the media. I had fully accepted the idea that children needed regulation because they couldn’t make the right choices for themselves. I believed that children could not discern the biases and stereotypes they saw portrayed in media. And, I held strongly to my own biases about what types of shows and videos Martel should watch. In spite of strong commitment to challenging stereotypes and biases, I was blind to the biases about children (as a group) perpetuated by the media. As I mentioned in my first article in the September/October 2012 issue of Home Education Magazine, I was unable to observe Martel’s media consumption from a neutral point of view. Because my frame of reference reflected the dominant culture, I did not trust Martel and focused on what he was lacking. I missed the truth about his abilities. I was socialized to believe that I knew what was best for him, so I often made wrong assumptions about his thoughts and feelings when he was watching television. So I carefully controlled what he watched. I made sure the shows we presented to him, for the most part, had diverse characters and were educational. When I controlled what Martel watched, I also didn’t feel the need to watch television with him. I believed it was for his own good that I use my greater power as an adult to try and dictate his thoughts and beliefs. I used my greater power to control his choices. All the while, I would go out and challenge students to question their assumptions, to think about how those with greater power use that power to control others. I would then return home and never question my right to define Martel’s world for him. If I am honest with myself, I had little regard for his thoughts on these issues because I believed I was right. His opinion did not matter as much as my certainty. I had accepted the stereotypes and prejudices about children that remain unquestioned in our culture. I believed that children didn’t know better. I believed that children should and could only learn what adults taught them. While I taught college students to use dialogue skills to learn about different identities and experiences among their peers, too often I lectured Martel. I did not use the important skills of seeking to understand another’s point of view as the starting point to dialogue. I did not believe that children had the ability to reflect (critically or otherwise) on what they saw. I underestimated Martel’s ability to think and be discerning. It was only after a series of critical incidents that I began to question my control over Martel. One was actually caught on video. It was a great example of the power of video! I was interacting with Martel without know that I was being recorded by Rob. I was shocked at how I treated him. It was one catalyst that began an intense journey of soul searching. I committed myself to changing my thinking and my behavior. I questioned how and when I controlled him. And media was most definitely one of those areas of control. In the realm of media I had two sets of opposing and contradictory thoughts and beliefs. I was afraid of the consequences of letting Martel watch whatever he wanted. But this was the core of my challenge, as an individual who has committed her life to working towards equality and justice, how could I possibly allow the children in my life to watch shows that taught them stereotypes and prejudice? I had trouble at first reconciling my beliefs about justice with letting go of control. But then I had increasing moments of clarity. I began to understand that I was using power in ways that disempowered Martel. I was reinforcing biases and stereotypes about children as a group. I was not “walking the talk” of social justice. I saw the differences in children as deficiencies. Just as those who discriminate on the basis of other identities see those differences as deficiencies that need to be overcome through proper training, control,and/or punishment. I needed to be willing to engage in the same process with Martel that I had taught to hundreds of college students. I needed to be in dialogue with him. I needed to better understand him and be willing to truly listen and hear his point of view. I needed to see our relationship, and him (actually all children) differently. I needed to change my thinking from seeing him as an inferior human being because of his age to seeing him as a person who had different experiences, ideas, and thoughts about the world based on those experiences. And my responsibility was to understand him and see him for who he really was. It was not my responsibility to try and turn him into the kind of person I thought he should be. Given my two contradictory positions, letting go of control versus a biased media, how could I reconcile them? I began by doing the same things I asked students to do in my dialogue courses. I examined my own experiences, assumptions and biases. I also challenged myself to take on one of the first principles of dialogue, seek first to understand. 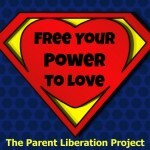 I pushed myself to let go of my own training and socialization that parents always know what’s best for children. I began to challenge the everyday common “wisdom” about children, because so much of this “wisdom” is based on biases and stereotypes about children from an adult-only perspective. I slowly let go of controlling what Martel watched. More importantly, I started watching shows with him. Sometimes that was a struggle. I needed to suspend what seemed to be automatic judgments about his choices. I asked him questions about what he liked about the shows. During the course of a 30-minute episode we might talk about several things related to the show. I began to find out what he evokes different emotions and why. Mutually engaging in watching his shows, You Tube videos, and video games helps me to find common ground. It also increases trust. However, my goal is not to gain Martel’s trust just so that I can make sure and teach him the “right” values, or make sure he thinks and believes what I do. It is not about manipulation. It is about connecting with him, gaining greater understanding of who he is and what he thinks. If I see things that I find troubling, I might ask a question. What does he think about that? And I just listen. I try to see what he sees. Martel often has astute observations about media and television shows. He will see patterns in the characters and the ways in which individuals are portrayed stereotypically. He will ask me questions about why are certain groups of people portrayed the same way over and over in different shows. I started this process when he was five and a half and now that he is older, we often have very frank and open conversations about what he sees and what I see. It has become a more mutual dialogue. Because he knows my goal is not to teach him the “right” point of view, but to understand his point of view, he is less likely to be pushed into saying what he thinks I want him to say. I am careful not to use my greater power and ability to control him and get him to agree with me. Since I’ve spent time asking him what he thinks, he will often now ask me what I think about something. It has become the way we relate and communicate with each other. When one of us makes an assumption about the other person, we can challenge that and clarify. Dialogue is about being in a place where you care deeply about what the other person thinks and feels, as much as you care about your own opinions and thoughts. Dialogue is seeking to understand another person’s point of view first. Dialogue helps us to question our assumptions about the world and about the people who share our lives. I still work toward creating broader social change. I am still passionate about challenging stereotypes, prejudice, and discrimination. I still hope that both Martel and Greyson will treat others with respect and embrace differences as an opportunity for more learning and growth. But, Martel and Greyson will not learn to respect others because I tell them. To impose my truth on Martel and Greyson and force them to believe–or act like they believe–what I do, would be a form of violence I perpetrate on them. If I choose to enforce the “right” values on “my“ children, I merely reinforce through my actions that the individual or group in power has the right to control those with less power. 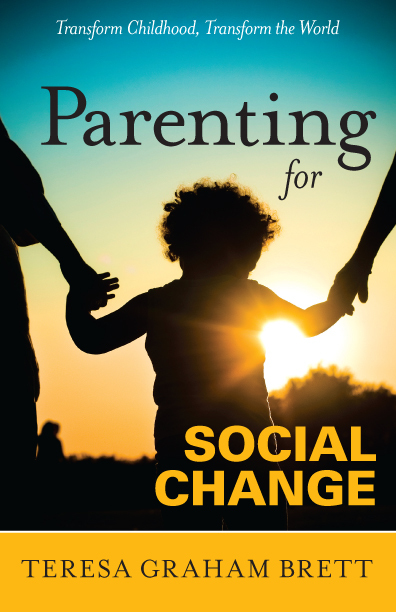 In my journey as a social justice educator and a mom, I’ve come to understand that my biggest contribution to social change is to transform my own parenting. It isn’t just about the content of the media children watch. To eliminate prejudice and discrimination, I need to challenge it at it roots. Those roots begin to grow deep in childhood, in how we treat children. Children learn respect from being treated with respect. Children learn to respect and honor differences when we are willing to respect and honor their differences. And, children learn what justice is when they are treated justly. What is the Real Learning Going On?